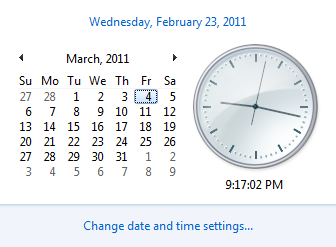 Roseville Best Buy Thinks HTC Thunderbolt Is Delayed Till March 4th, But Can It Be Trusted To Use A Calendar? Among all the Thunderbolt delay rumors, here comes the latest one from the Roseville Best Buy #129. Their Twitter account, currently followed by 372 people, tweeted a few hours ago that the launch has been delayed further than we were anticipating - till Thursday, March 4th. If true, this means earlier rumors of the February 24th and 28th launches will have turned out to be false, arousing even more suspicion around the reasons behind such a disastrous release of Verizon's first LTE handset. Are there last-minute problems with the LTE network? With the device itself? We don't know, but our curiosity sure is peaking. We are also curious whether Best Buy #129 knows how to use the calendar, because March 4th is actually a Friday. Let's hope it's an honest mistake by an overeager Twitter marketing genius in that branch and not just a lame prank full of unreliable information. The salt grains, prepare to utilize them.